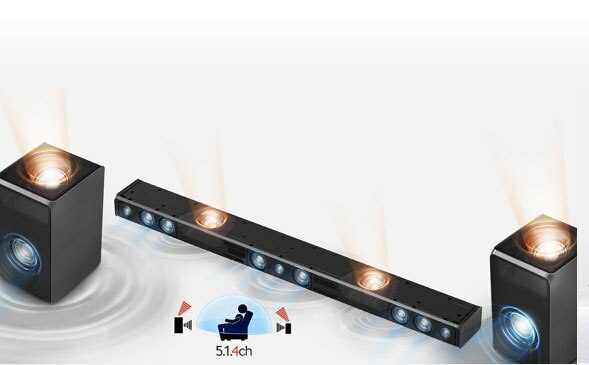 Why Dolby Atmos® soundbar ? Specialised built in speakers reflect sound from the ceiling down to the listening position to deliver powerful, cinema style sound. The Surround Sound Expansion Plus technology surround you with sound as if you're in the middle of the music and the action. 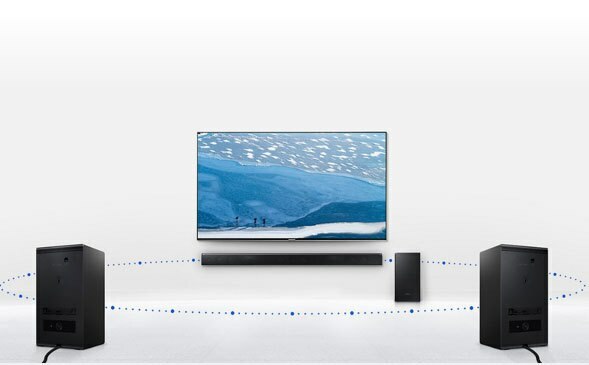 With no need for cable connections to the soundbar, you can place the subwoofer and the rear speakers where they look best. Sounds great even with standard television viewing, small easy to use remote. Instructions don't tell you that you will need to change settings in your TV to get the proper sound out of it with newer HDMI cables. There are no speaker stands on the market that I am aware of made for the rear speakers. For the price, there should be.